A mysterious package begins an epic duel of minds between FBI agent Nicole Bonnet and a ruthless serial killer, who leaves playing cards by the bodies of his victims as signature. Does Nicole have what it takes to understand the mind of a psychopath, as complicated as his puzzles? If not, she might end up as his next trophy in Art of Murder: Cards of Destiny! 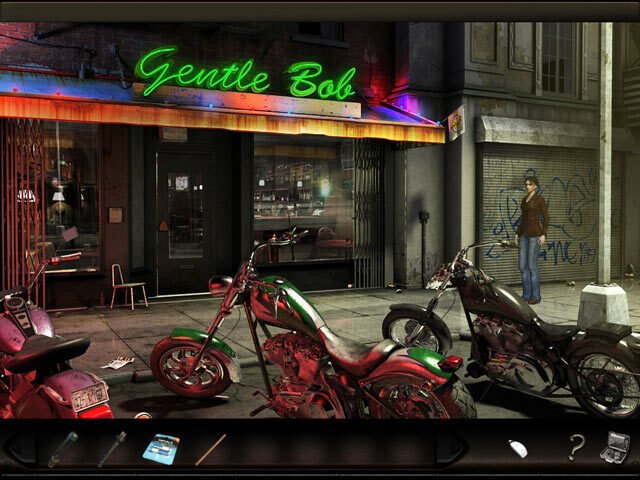 Find crucial clues in gorgeous Hidden Object scenes and stop the murderer! Warning: Art of Murder: Cards of Destiny contains some graphic content. 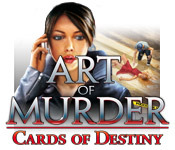 Art of Murder: Cards of Destiny is rated 4.2 out of 5 by 17. Rated 4 out of 5 by abelss from Very Good This game was a very good game. The beginning was little slow when I was trying to get through the closed down theater area, but once I got past that the game got better. Graphics were very good as well. The mystery part was very good as you fnally think you know who the murderer is then that changes in good scene. I did have to refer to the strategy guide a few times which was very helpful. Rated 4 out of 5 by champers4 from Cards of Destiny Great game, I think this one is the one out the others that I enjoyed more can't wait for the next one. Graphics where great and in detail, some of the challenges were very interesting to work out, if you love point and click games, you WILL enjoy this one. 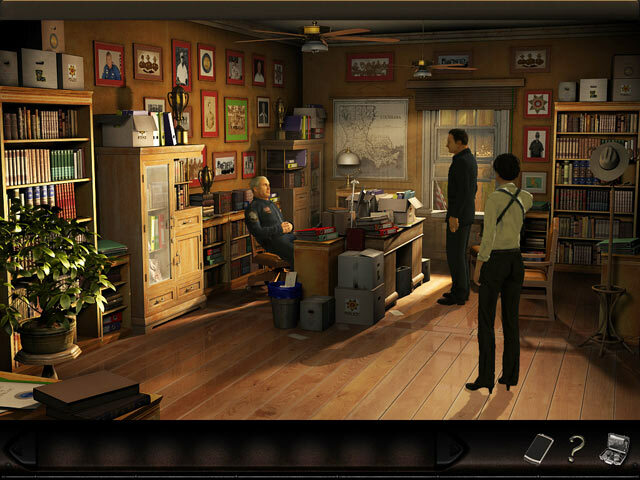 Rated 4 out of 5 by Linny394 from Excellent Adventure Game Now, maybe I'm biased, but I'm a big fan of the older style point and click adventure games. "Art of Murder: Cards of Destiny" didn't fail to disappoint me at all. With an interesting storyline and many places to explore, this was only made better by the sound quality/voices that were added. I did find some of the repetitive lines you get when you click on the same thing over and over annoying, but they weren't overly so. Although I did enjoy the puzzles, and for the most part had no trouble with them, there were several which were much more challenging, requiring a lot more time spent. 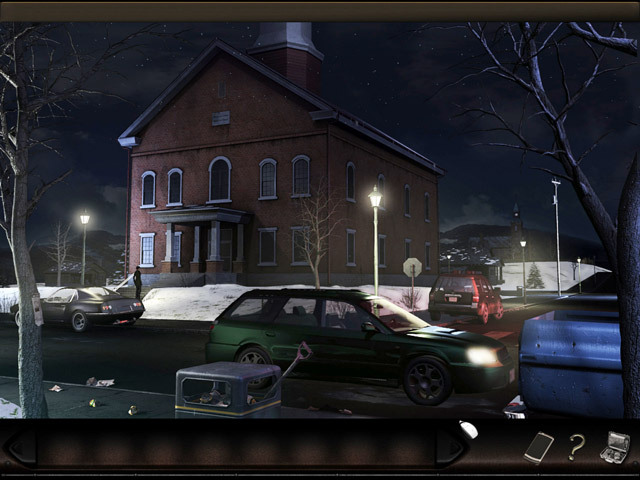 However, as walkthroughs are available for the game, they aren't impossible to get past. I didn't notice many bugs while playing the game, which was a big relief. My game did get stuck loading a couple of scenes on occasion, but I was able to fix them by minimizing the game, and then re-entering it. Overall, I was very impressed. Rated 3 out of 5 by Landofoz from Was so hoping to like it I usually love these kind of adventures but this one became tedious. I have yet to finish because I feel some of the actions to progress are not logical. I have resorted to clicking anything on anything to hopefully cause some effect. I like dialogue, I like inventory-based puzzles, I like logic puzzles, but this one made me weary. So now I am still in the house in the swamp and just can't figure out what to do and I know I am so close to the end...but I just don't care. Rated 3 out of 5 by nina_gail_1 from Inappropriate behavior between men and women in the workplace I am only halfway through this game and I have to mention the inappropriate behavior this poor woman has to put up with. This is the 21st Century, you know. Who wrote this game? A time traveler from the '60s?... In addition to the blatant man/woman banter, the conversations seem to go on forever, without much real reason for it except to kill time. The game itself is challenging, but the dreadfully long conversations and the inappropriate behavior between the men and the woman detract from my enjoyment so much that I may not try any more of these. Rated 3 out of 5 by basswomanuk from Art of Murder: Cards of Destiny This game started off being very interesting and challenging, but by the end, which came all too soon, the story line was not fully realised in the action play and ended very disappointingly. In the last few scenes, there appears to be an issue with the audio/visual syncing process, which interrupted the flow of the action. The speaking interaction between characters is very stilted. Rated 2 out of 5 by FamilyDad1 from Mixed Emotions At first it seems like there's so much to like about this game: Namely the professional voice-overs, great graphics, expansive locations, detective angle and old school feel. But what drags it down is just how far the author goes assuming we the players care to make absurd leaps of faith. While I really like the old school aspect of having the the main character talk about objects when you click on them with the "eye" icon, and the ability to combine objects in inventory, at times the game bogs you down with no where to go and nothing to do. An example is in the theater. Some of the challenges which quickly turned to aggravation include: What at first seemed like simple swapping of good and bad lightbulbs became confusing. Why? Because once it seemed the task was complete, the game kept letting you open the projector again and again. If I completed the objective, why not be like every other normal game, and STOP allowing me to open the projector? Then there's the HINT system. Literally a question ? mark which shows you all the possibilities on a given screen. Many times I found myself going online for the walkthrough. Another example of crazy objectives... At one point you're supposed to raise (or lower) the projection screen. This takes place in a back room via a crank. At first, you're not sure which way the crank is supposed to go, or if it matters. Then once you've spun it around a few times, nothing happens. Then after roaming around the theater a few more times hitting dead ends, you finally go back and crank it some more. Finally you hear a noise- Oh, the screen is moving ok, but now what. Well, for some reason they thought it was a good idea to have you combine the BRICKS with the BUCKET in inventory and hang the bucket on the crank handle to keep the sceen in place!!! SERIOUSLY?!! It's this linear approach of consistently hitting one dead end after another, with no hope of proceeding that kept me more aggravated than entertained. And yes of course I really like being challenged and stumped, but not plain annoyed. Who would find any fun in that.